WASHINGTON — Puerto Rico’s $72 billion public debt crisis has forced congressional leaders to pay attention to a U.S. territory that’s usually on the sidelines of American politics. The island has been mired in economic stagnation for nearly a decade. The governor now says Puerto Rico’s debt is unpayable and needs restructuring. The White House and Democrats in Congress say the United States needs to change the law to allow the territory to declare bankruptcy. Republicans say they want to fix the symptoms of the problem first. 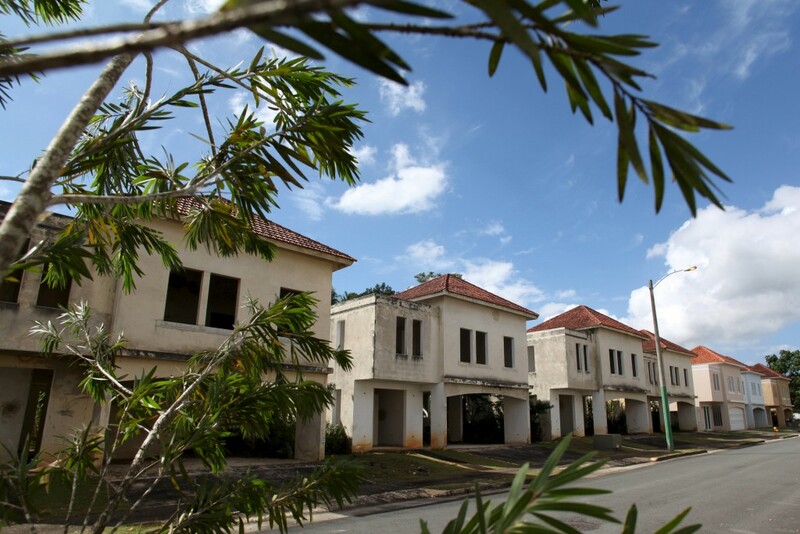 Puerto Rico’s economic decline has been coming for years. Coffee and sugar once fueled its economy, and as agriculture diminished, Puerto Rico got an economic boost from federal tax incentives that lured manufacturers, especially pharmaceutical companies, from the U.S. mainland. When Congress phased out those incentives a decade ago, Puerto Rico’s economy suffered. The territory’s financial problems grew worse as a result of setbacks in the wider U.S. economy, and government spending in Puerto Rico continued unchecked as borrowing covered increasing deficits. Many people moved to the mainland U.S., reducing the island’s tax base. In just 15 years, Puerto Rico’s debt tripled. Like all U.S. states and territories, Puerto Rico cannot declare bankruptcy under federal law. Mainland municipalities and their utilities can; municipalities and utilities in Puerto Rico cannot. The island’s public utilities are heavily indebted, and Garcia’s administration is pushing Congress to allow them to declare bankruptcy. Garcia signed a debt-restructuring law, but a federal judge ruled it unconstitutional after two major U.S. companies representing bondholders sued. The Supreme Court is preparing to hear an appeal on the issue this year. Puerto Rico recently defaulted on $37 million in interest on bonds and faces its first lawsuit over diverting money to meet other bond payments. The White House says a federal bailout is not under consideration. But the Obama administration has proposed creating a territorial bankruptcy process that would allow Puerto Rico’s government to restructure its debt and impose new oversight on finances, among other measures. Garcia, who has said he won’t run for re-election, spent much of December in Washington lobbying Congress to include debt restructuring in a massive year-end spending bill. He blamed his creditors for lobbying against it. The governor met with Speaker Paul Ryan, R-Wis., who later said the House will work with Puerto Rico to come up with “a responsible solution” by the end of March for the territory’s debt problems. Senate Majority Leader Mitch McConnell, R-Ky., hasn’t made any similar promises. In a Jan. 12 letter, Senate Democratic leader Harry Reid of Nevada asked him to form a congressional task force to deal with the issue. It is unclear whether Congress will be able to meet Ryan’s March deadline. Democrats say allowing the island debt restructuring won’t cost U.S. taxpayers and is the right thing to do. Republicans have so far objected, saying they first want to address the root causes of the crisis and see more data on the island’s finances. They have asked for audited financial statements that the territory has not yet provided. Republicans are pushing for a federal financial control board that would help Puerto Rico get its finances in order, possibly similar to a board that helped guide the District of Columbia through a fiscal crisis two decades ago. Almost 10 percent of Puerto Rico’s population has left in the last decade and hundreds of businesses have closed. If the island isn’t able to restructure its debt, officials have said they will have to start laying off police officers, firefighters, medical professionals and other public employees. Garcia has said that could lead to a humanitarian crisis. Officials are hoping that lawmakers will be able to find a solution.